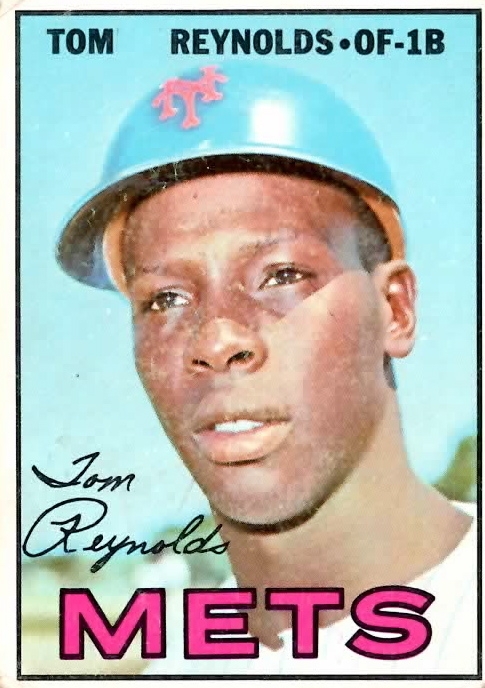 Happy Birthday to Tommie Reynolds who played the outfield for the A’s, Mets, Angels and Brewers in a career that spanned eight years, from 1963 to 1972. I didn’t know Tommie well, but I liked him because he hit .118 against me in my career. But I remember one game he surprised me. He was back for his second tour of duty with the A’s in 1969 and they were playing at Yankee Stadium. The A’s pitcher, Lew Krausse, had tied the game with a Home Run, and Tommie followed up with a double. Luckily, I was able to calm down – credit for that goes to a kid named Thurman Munson, who was playing in his second major league game. We won the game 5-1, and I pitched a complete game.